In a time when conservative politicians challenge the irrefutability of scientific findings such as climate change, it is more important than ever to understand the conflict at the heart of the “religion vs. science” debates unfolding in the public sphere. In this groundbreaking work, John H. Evans reveals that, with a few limited exceptions, even the most conservative religious Americans accept science’s ability to make factual claims about the world. However, many religious people take issue with the morality implicitly promoted by some forms of science. 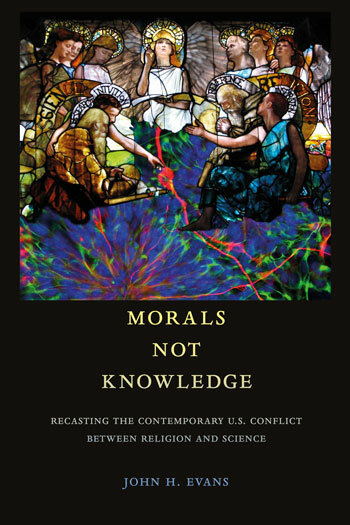 Using clear and engaging scholarship, Evans upends the prevailing notion that there is a fundamental conflict over the way that scientists and religious people make claims about nature and argues that only by properly understanding moral conflict between contemporary religion and science will we be able to contribute to a more productive interaction between these two great institutions. JOHN H. EVANS is Professor of Sociology at the University of California, San Diego.